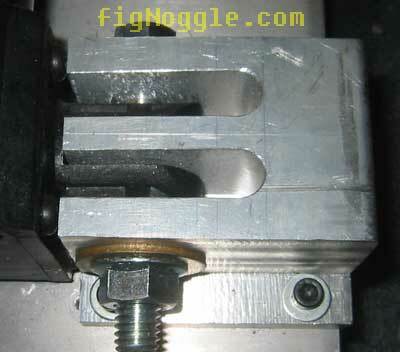 Often times people (including folks here) ask questions like "What can this little, cheap-looking Harbor Freight Mini-Mill actually make? What's its capacity?". 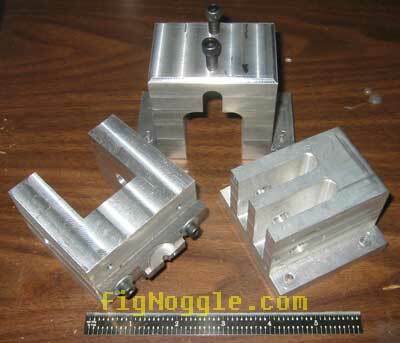 While digging through the archives of projects in preparation for a new prototype CNC bench-top milling machine, we found the first ever "real" project - making mounts for an electric linear actuator purchased at closeout prices from a popular speaker parts catalog. 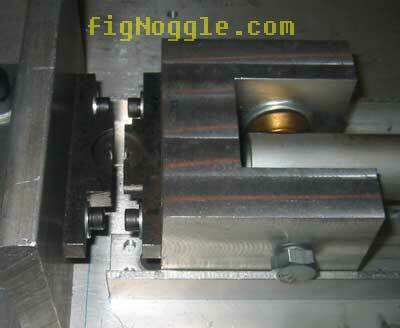 It all started with a need to prototype a crimping machine. We trekked over to the local metal scrap warehouse which also sells disassembled machinery and other stuff - some useful and some not-so-useful - and purchased some 6061-T6 aluminum plate. One piece was a rather large plate of 3/8" x 11" x 32". The other was a chunk of the same aluminum that was 4" x 4" x 3' long. Needless to say, at $2/lb. or so it was quite a tab! It was that very next day that a cheap Harbor Freight bandsaw (model 37151 - the green one) was put on the list of things to buy. Back to the original question and its answer. 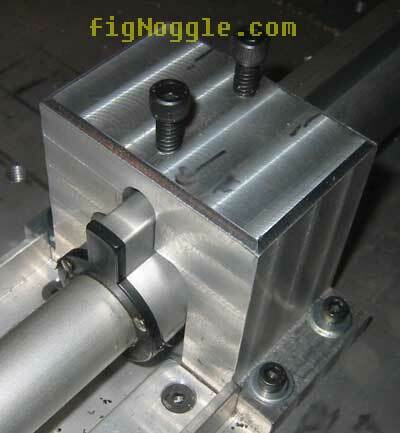 It should first be said that the first actual project was making the holders for the screwless machinists' vise from ENCO. It's a quite uneventful project, so we don't discuss that here. As for this linear actuator, we needed three blocks to be machined: a piston, a bracket for the actuator housing, and an end mount. At this point, we also didn't have any layout dye - just the machine and a basic set of end mills from ENCO. And off we went! At the end of a two-day journey, we ended up with the following blocks. As was mentioned above, we needed to cannibalize this first project to make room for a home-brewed CNC bench-top mill using linear guides/bearings and perhaps the spindle from the X2 mini-mill. So, we hope this answers some of the newbie (hey, we were all newbies at one time!) questions. Don't mind the guy in the Harbor Freight store who says that this machine is a toy. It certainly is small, but it's quite a capable machine! Click here to find out more about these sometimes misunderstood components.